Robert Woodhead Limited really has gone the extra mile for residents local to the Wendling Gardens building site. The Nottinghamshire construction company, Robert Woodhead Limited is building four bungalows to Code for Sustainable Homes Level 4 at the location, as part of the much larger council homes building programme1,2. Once completed, the homes will be managed by Nottingham City Homes. 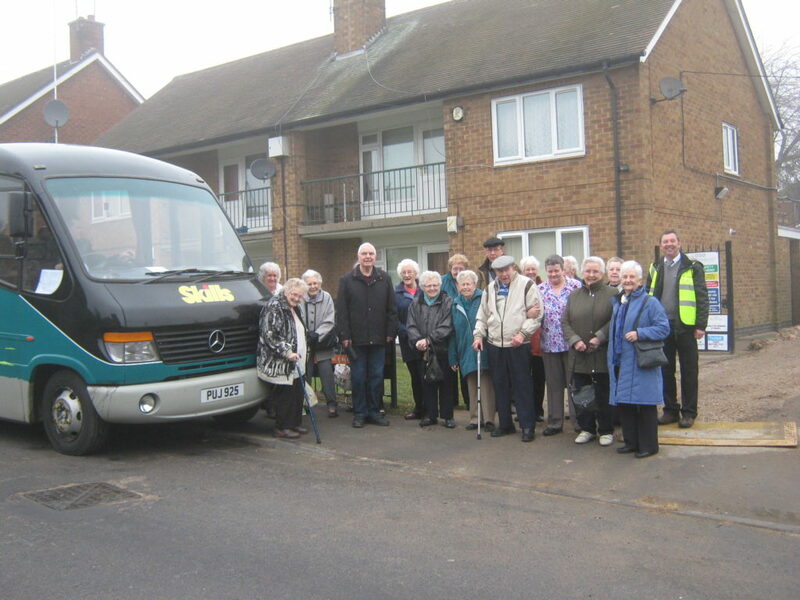 Next to the development is a sheltered housing complex – Challond Court run by Anchor Trust – and Robert Woodhead’s Site Manager Pete Winson certainly has gone the extra mile for the residents – in fact around 90 miles. Pete Winson and Woodhead Living, part of Robert Woodhead Ltd took more than 20 residents of the complex on a coach trip to Derbyshire on 6 March 2013. This included sightseeing and dinner, where residents got the chance to talk to Pete in a relaxed atmosphere about what was happening at the site, what the plans were and when it would be finished. Have you ever heard of a building company going that many miles to keep the local residents informed of site developments? Nottinghamshire building contractor and the site team for their efforts in creating good relationships with the local residents. As a result, the site has been awarded a Considerate Constructors Score of 40/50 which demonstrates ‘Excellent’ performance and is beyond compliance to the scheme. It shows a clear commitment to improve the image of construction.